The GS 190 may be small, but with features like a cast iron cylinder liner, it can deliver the reliability you expect from a commercial-grade engine. Whether your GS is powering a tiller, pressure washer, water pump, or a piece of farm equipment, this guide will help you keep your engine running reliably. Before each use – Check air filter and oil level. First month or 5 hours of operation – Change the oil. Every three months or 25 hours – Clean the air filter. Every 6 months or 50 hours – Change the oil. Every year or 100 hours – Check the spark plug and (if equipped) the spark arrester. Every two years or 200 hours: Replace the air filter and spark plug. Bought a new piece of equipment powered by a Honda GS 190? Here’s what you need to know to get it running and address any problems along the way. Make sure there’s fuel inside the fuel tank. Check the oil level. Remove the dipstick from the filler cap, wipe off any oil, and reinsert it without screwing it back into the engine. The oil should come up above the bottom mark on the stick. Inspect the air filter. To get to it, open up the air cleaner housing by pushing in the tabs on the side of the cover. Check the equipment for fluid leaks, loose bolts, and other potential issues. 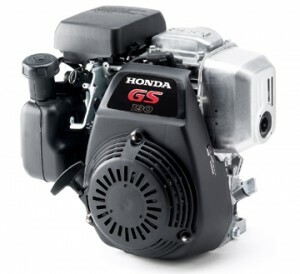 Honda’s GCV 160 can be found in everything from pressure washers to lawn mowers, but whatever your motor is powering, it still requires the same maintenance. Here’s what you need to know to keep your Honda small engine running reliably for years to come. Before each use: Check the air cleaner and the oil level. First month or 5 hours of operation: Change the oil. Every season or 50 hours: Change the oil, check the spark plug, and inspect the flywheel brake pad. Every 200 hours: Replace the air cleaner and spark plug. 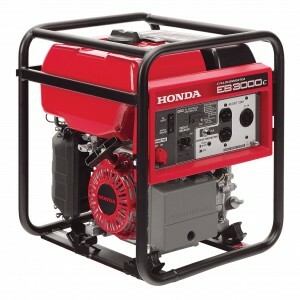 The name “Honda” is synonymous with quality, especially when it comes to generators. However, even the best made generator can be unreliable or even dangerous if not used correctly. Here’s what you shouldn’t do with your generator, whether you have a small portable model, a home backup system, or a portable power source for work sites. 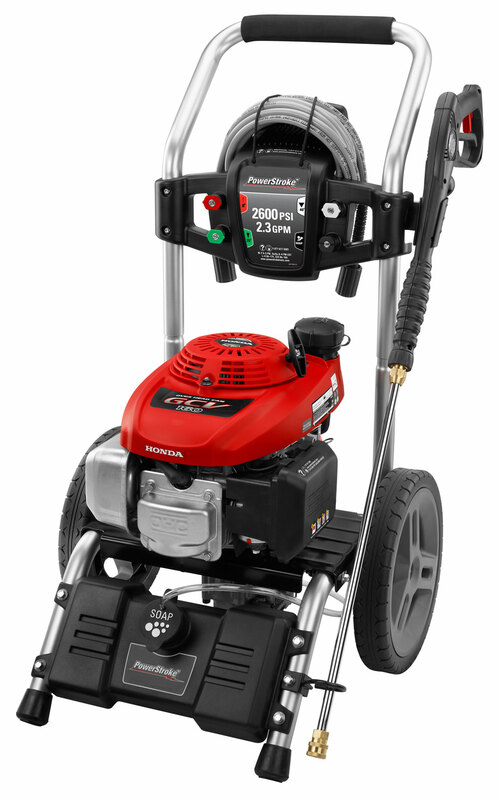 The GXV120 is a vertical shaft engine that is mostly seen in walk-behind mowers. As with any Honda, it delivers outstanding reliability, but only if it’s properly maintained. This guide will walk you through the basics of keeping your engine serviced. The GC135 may be small, but this Honda engine is used in a wide range of equipment by a large number of manufacturers. Whether your motor powers a pressure washer or a pump, this guide will help you keep it powering your equipment for years to come. Always let the engine cool before servicing it, especially when working around the muffler: it can still be hot up to a half hour after the engine has been used. 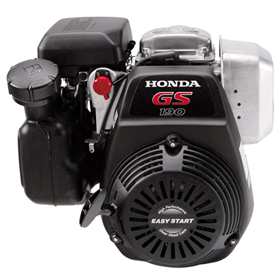 Honda’s G100 is a popular engine that’s used in all sorts of equipment. It can be found in tools for lawn care, agriculture, even construction. This guide will help you keep your engine running smoothly — no matter what it’s powering. Carbon monoxide from the exhaust can be lethal in confined spaces. While it may be more convenient to work on the motor inside a garage or workshop, you should never start it inside or near a building. To prevent injuries from moving parts, always shut off the engine before making any repairs. The engine, and particularly the exhaust, can get very hot after running. It’s best to let the motor cool completely before performing any repairs. Honda recommends oil that meets API service classification SJ or greater. 10W30 is recommended for most temperatures, while 5W30 can be used below 32°F (0°C) and SAE 30 above 50°F (10°C.) The G100 holds 0.48 quarts (0.45 liters) of oil. To check the oil, remove the oil filler cap/dipstick. Wipe it clean, and slide it into the filler neck, but don’t screw it into the neck. Pull it out and look for oil: if the dipstick is dry, add additional engine oil. To change the oil, place a drain pan under the engine and remove the oil filler cap/dipstick followed by the drain bolt, located directly beneath the filler neck. Once the oil has drained, screw the drain bolt back into the motor, making sure the sealing washer is on the bolt. Add oil until it comes to the top of the filler neck. To access the air filter, remove the washer and cover from the air cleaner, located on the side of the engine next to the choke lever. To clean the filter, wash it with soapy water, rinse and allow it to dry. Soak the filter in clean engine oil and squeeze out any excess liquid. Wipe out any dirt that has gathered around the filter housing. The spark plug on the G100 needs to be inspected and cleaned regularly. Replace the plug if it shows any signs of damage or fouling. When reinserting the plug, make sure the sealing washer is fitted around the plug head. When installing the plug, tighten it 1/8 to 1/4 turn after the spark plug has seated, or 1/2 turn if the plug is new. Unscrew the sediment cup, located directly beneath the fuel valve. Screw the sediment cup back into the fuel valve, making sure the o-ring is seated on the top lip of the cup. Open the fuel valve and check for leaks. The arrester is optional equipment, but it can be added to any G100 engine as needed to meet local fire safety requirements. Unscrew the two 6mm nuts on the front of the cover along with the two screws on the top and bottom of the cover. Remove the two screws holding on the muffler deflector. Use a wire brush to clean off any carbon deposits on the arrester. Replace the arrester if it shows signs of cracking. Reassemble in reverse order. 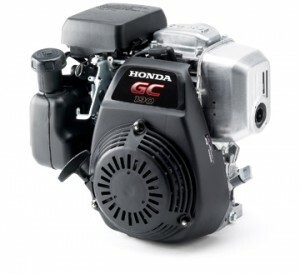 When you need parts for your Honda small engine, go to www.hondalawnparts.com. We’re a certified OEM dealer for Honda’s full line of small engine equipment, so we carry everything you need to keep your motor in top shape. Our site has an advanced search engine with built-in factory parts diagrams to help you identify the parts you need, and we can ship your order anywhere in the U.S. and Canada. The GD320 and GD410 may be getting long in the tooth, but these diesel Honda motors are still found in a lot of power equipment. Here’s what you need to know to use yours properly and keep it running for years to come. Engine oil: Remove the dipstick/filler cap, wipe it clean, and reinsert it into the engine without screwing it down. Check the oil level on the dipstick: if it’s low, add some oil. Honda recommends 10W40 made for diesel engines. Screw the dipstick back into the motor. The GC190 is one of the most popular small engines on the market for lawn and shop equipment, but even an engine as reliable as this Honda needs maintenance to keep performing year after year. This guide will walk you through the steps needed to keep your motor working. Make sure the engine is off before you begin any repairs. If possible, wait at least a half hour to ensure the motor is completely cool to prevent burns from hot engine parts. If the engine needs to be started, do so in an area with good ventilation to prevent carbon monoxide buildup. 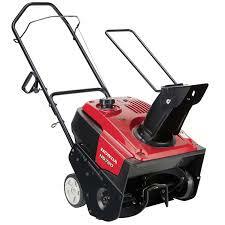 Few things are more important to snow thrower ownership than regular service and preventative maintenance. Luckily, most of these tasks can be performed at home on a regular basis, according to maintenance schedule requirements and careful guidelines for each required service item. The HS720AM series of snow throwers comes with a helpful, included instruction manual that clarifies everything from basic safety precautions to maintenance procedures, the timing of each service interval, and what’s required to keep this powerful and helpful piece of equipment in like-new condition for many years after purchase. A quick review of these guidelines makes it even easier to tackle winter storms with efficiency.